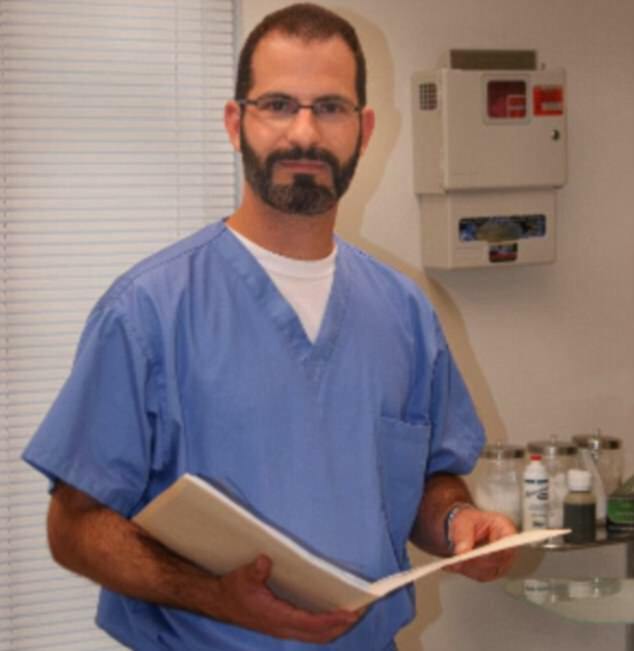 A doctor shouted at a patient to "get the f*** out of my office" when she complained about the wait at his surgery. 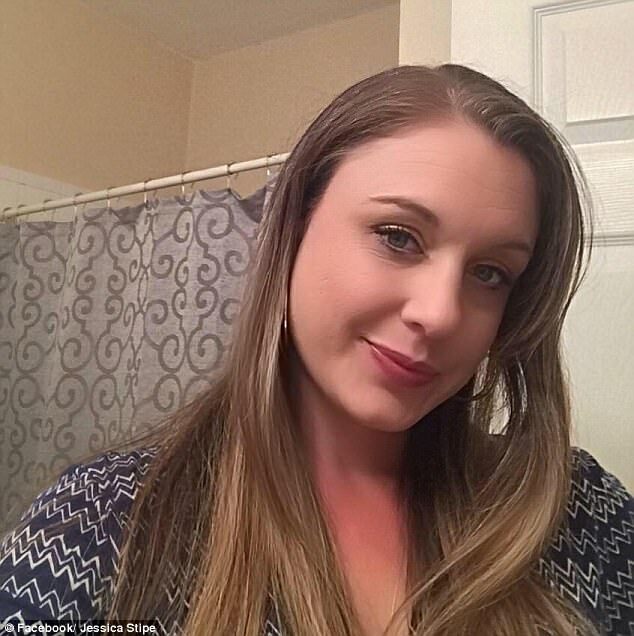 Jessica Stipe claimed the medic went "mad" when she asked for an $80 (£60) copay - a fee paid by US patients before receiving treatment - to be returned at a clinic in Gainesville, Florida. 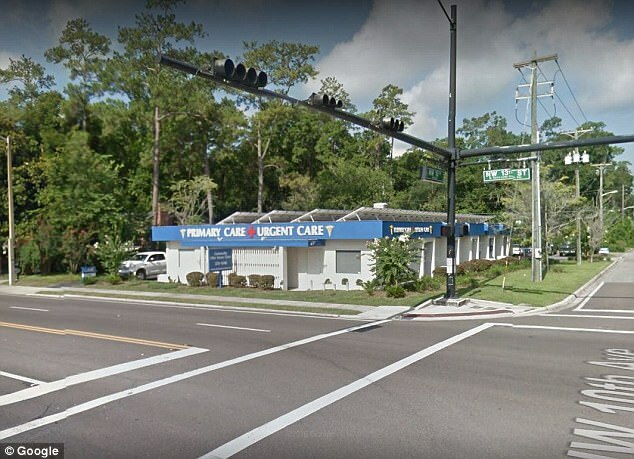 Police have reportedly launched a criminal investigation after the confrontation was filmed in a waiting room at the Gainesville After Hours Clinic. 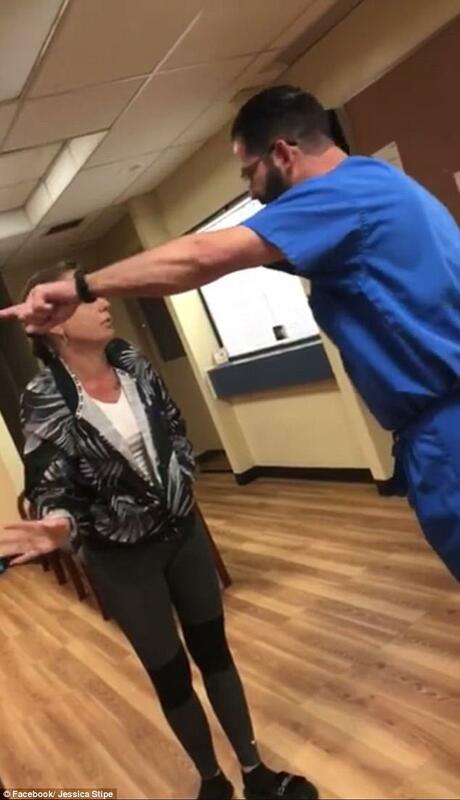 Dramatic footage captured by Jessica's daughter showed doctor Peter Gallogly angrily confront Jessica when she complains about the length of her wait. The exasperated medic tells her: "Are you kidding me? Do you know how many people.. I've got seven rooms back there." Jessica said she made her appointment at 6.30 but the strident doctor interrupts her. "It's 7.45 and we have already been working on you, we have done a urine test on you, I've seen you." He then tells her "do you want to be seen or not". 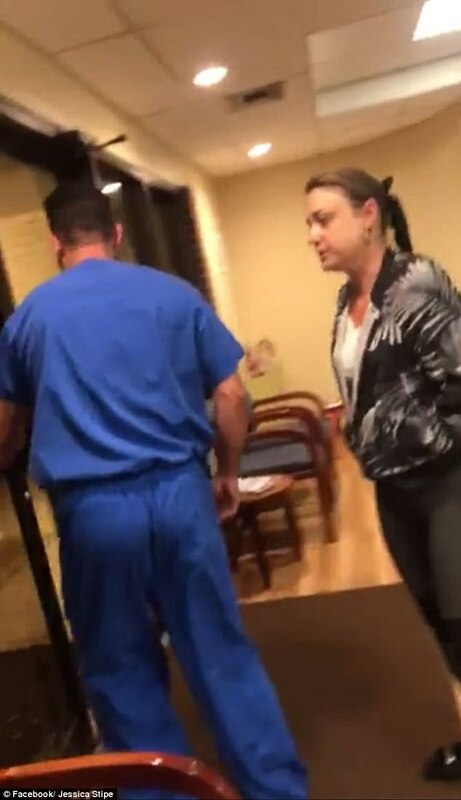 When Jessica says she wants to go home and get in bed, the doctor replies: "Then fine, get the hell out, get your money and get the hell out." 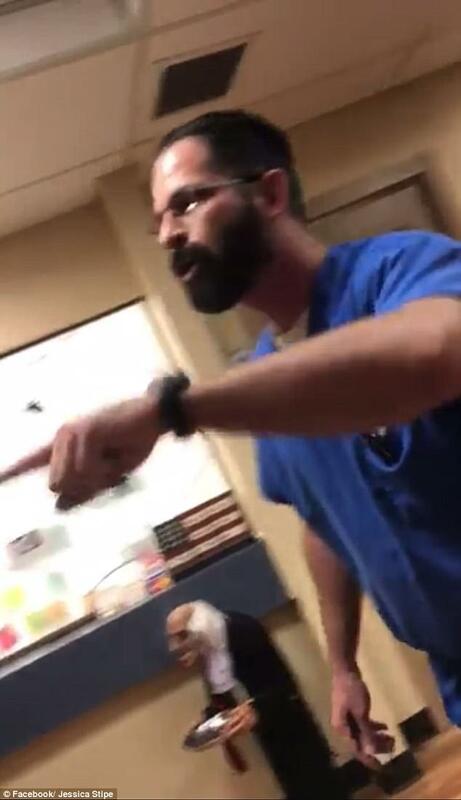 Jessica responds by branding the doctor "rude" and "disrespectful" to which he angrily retaliates "get the f*** out of my office now". As the women leave the office, Dr Gallogly is told the confrontation was filmed and is captured trying to grab a mobile phone belonging to Jessica's daughter. The footage was uploaded on to Jessica's Facebook page on Monday and has received nearly 350,000 views. Police have launched a criminal investigation after the footage went viral, the Gainseville Sunreports. 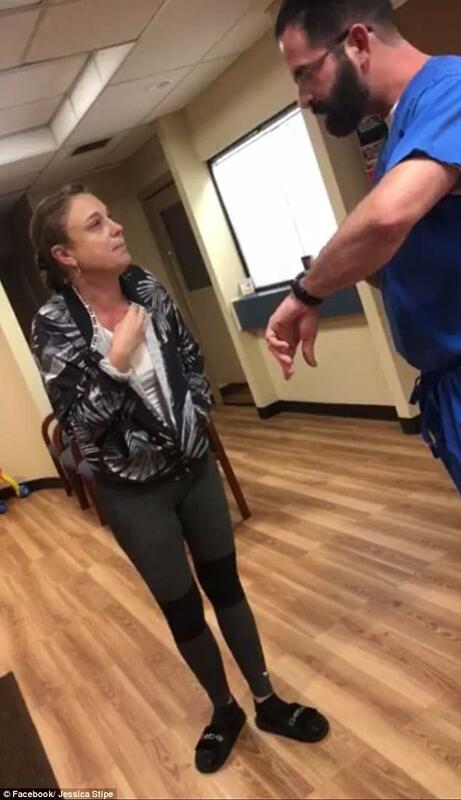 Jessica said on Facebook she arrived at the surgery out-of-hours in severe pain after "throwing up in the trash can" . She alleged she paid her fee and urinated as part of tests but had not been seen by 7.45pm so decided to go home. Jessica wrote on Facebook: "My daughter recorded it because they were so rude. "When he saw it was being recorded he snatched my baby's phone and shoved her when she tried to get it back."